Study groups, also called Learning Opportunities, are an integral part of the BNC Phoenix experience. They act as a social hub for our members to gather regularly and spend time with friends or make new friends with mutual interests. The groups also serve to satisfy our members’ love of lifelong learning. Each study group is designed to be educational, fun, and thought provoking. Some draw from materials compiled by Brandeis professors exclusively for BNC to help guide discussion. Every year we are careful to offer our members groups across a range of topics in order to ensure there is something for everyone. In past years topics have included literature, food, film, golf, hiking, ballet, art appreciation, theater, current events, yoga, community service, and a men’s interest group. Our one-time events cover even more. 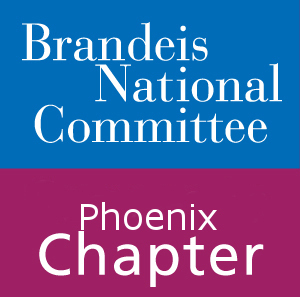 A popular event is the annual University on Wheels speaker, where a Brandeis professor visits our chapter to give a presentation on a topic of interest. We are always open to suggestions for future events or study groups, so just let us know! Stay tuned for this season’s study guide, coming soon! For an idea of the type of study groups we’ve offered in the past, take a look at the study group list. Become part of a lively, fun community of lifelong learners while supporting a prestigious research university! If you have any questions or would like more information please contact our VP of Membership, Leith Baletin, at lbaletin@att.net. Join or renew your membership online here. Check our our auxiliary site for even more information.